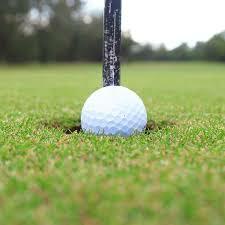 Statistically speaking, shooting a hole in one is unlikely – the odds have been calculated at around 100,000-1. But being the golf obsessed bunch we are at UK Hole In One, we have numerous golf-centred Google alerts set up and one of these tells us when someone in the UK shoots a hole in one in a UK hole in one competition. And do you know hardly a week goes by when someone doesn’t shoot a hole in one. In fact according to leading golf sources there are on average over 300 hole in ones shot each year in the UK. UK Hole In One had their very own hole in one winner only a few weeks ago with Mr Sewell. So, so much for statistics! As with everything, if there’s a chance someone will shoot a hole in one in a hole in one golf competition then eventually they will. And if you’re unlucky enough to be that competition’s organiser and you haven’t got hole in one golf insurance then the chances are you’re going to be significantly out of pocket! UK Hole In One can protect you from losses should someone shoot a hole in one and for much less than you think. UK Hole In One premiums start at just £99 – a small price for huge peace of mind. If you’d like any more advice, or to get a ukholeinone.com quote, then please call us on 0345 370 2844 or click here to contact us. Do I need hole in one insurance?